I planned a weekend for the kids and myself in order to allay some fears. I suppose planning might be a bit of a stretch. I had a rough idea. Noah, my son, is quite the filmmaker, for a 10-year-old. His game device has the ability to do single-frame shots and he puts together little stop-frame animations using legos or clay or whatever he has around. So as a result I decided we should, in a visit to San Francisco, visit the Walt Disney Family Museum. The whole reason for heading to the city for the weekend was to look at an area where his entire class was going on a field trip. But in the process I decided we should all enjoy ourselves. Not that going to the spot of the field trip wouldn’t be enjoyable, but Noah is nervous. He doesn’t know a lot of people in his new class and he’s nervous because he’s worried he might get hurt. I understand that you’ll never let anyone in unless you take that risk, but as a 10-year-old who’s been through a lot of troubles, been made fun of and given a reputation as an angry young boy I can see how he’s closed up and put a shell around himself. So we went to the city . . . and the kids had a blast. It’s not often I get to say it’s an amazing weekend, but this happened to be one of them. 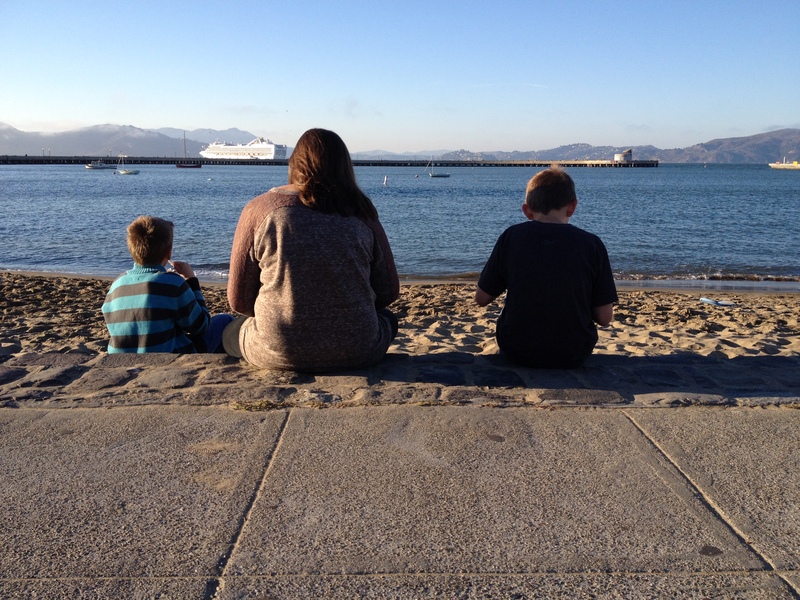 It’s been an adjustment for the three kids to have life without their older sister in the house. Just under 3 years ago they lost their mother to a resistant strain of pneumonia. Then in August we moved their sister to her new town and started her in college. For them, this has been a rough 3-4 years. So to head out, spend the night in a different town, and just walk around and have fun . . . that was special. 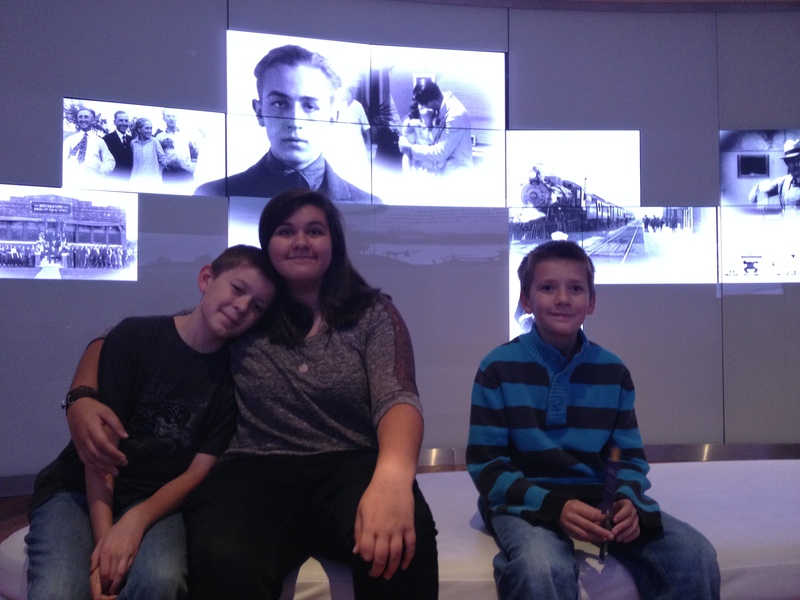 The Disney Museum was a hit. 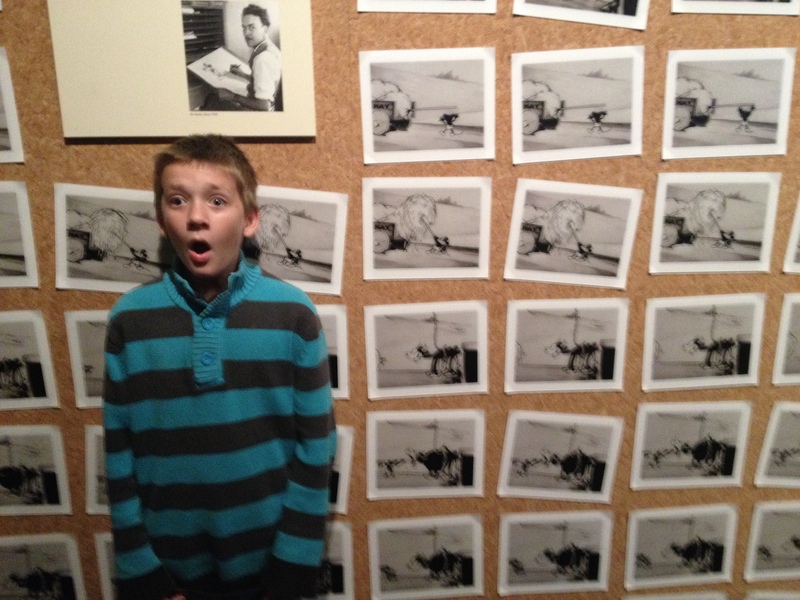 Noah stood in front of a wall with every frame of the first Mickey Mouse cartoon printed out . . . and when I went to snap the picture he spotted something that amazed him over my shoulder . . . causing him to gawk and look amazed as he stared at the opposite wall. We went to the San Francisco Museo de Mechanique and played old games and video games and ton of other things. We ate food that was just horrible for us. We visited Ghiradelli Square and had ice cream. 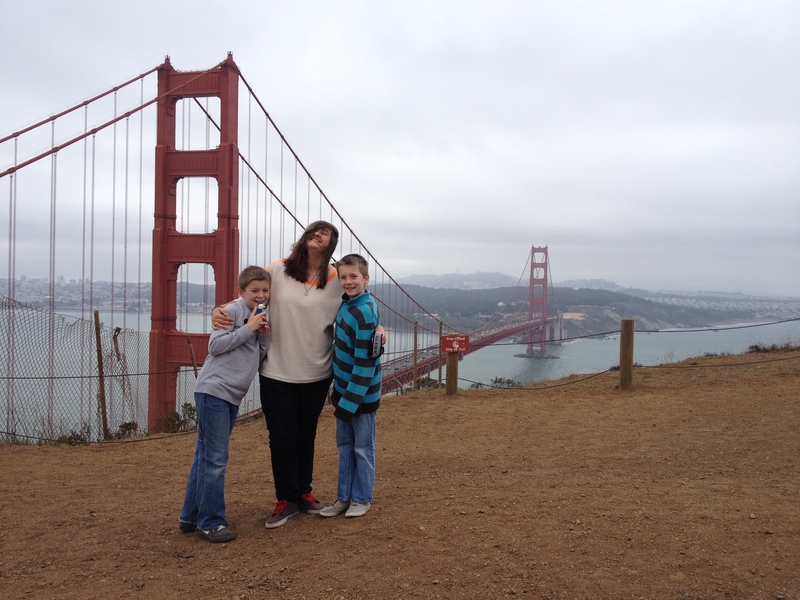 The following day we went to the Marin Headlands and visited where giant gun batteries were placed to protect the US during World War II and the kids were marveled at how amazing the area was. Noah was running up hills and bouncing from spot to spot. Sam was . . . well, he was cold. His twin was more excited than he was . . . until he saw the barracks and gun turrets. Then he was excited. Their sister, Hannah, was excited but took so many pictures she spent more time with her nose in her broken phone than looking at the Golden Gate Bridge stately and towering over their shoulders. We spent an exhausting weekend running around and packing as much into as we could. The thing about that kind of exhaustion though . . .